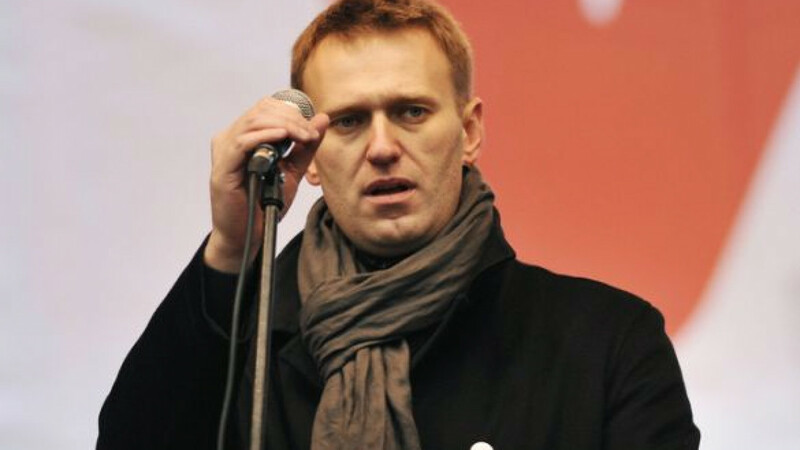 Opposition leader and former mayoral hopeful Alexei Navalny announced Wednesday that he would submit 951 separate complaints of voting violations to the Moscow City Elections Commission on Thursday. "There's about 50,000 pages here, we'll have to bring it in a truck," Navalny wrote in a post on his LiveJournal blog. The announcement of his attempt to have the voting results annulled came as the elections commission officially registered Sergei Sobyanin as the new mayor, with his inauguration ceremony scheduled for Thursday. Navalny will apparently try to rely on a legal appeal to achieve a vote recount, canceling a rally scheduled for Sept. 14 that had already been approved by City Hall. "We submitted the application back in August when we still didn't know how events would play out," campaign manager Leonid Volkov told Interfax, adding that there was no point in holding a rally at this point since "everything now relies on legal means." At a demonstration earlier this week on Bolotnaya Ploshchad, Navalny told attendees that there might come a time when he would ask his supporters to take to the streets to achieve political goals. In his blog post Wednesday, Navalny published tables and graphs purporting to show election violations and vowed to take the evidence to the elections commission Thursday morning. The most contentious votes came from take-home ballots, without which Sobyanin would have had only 49.47 percent of the vote, Navalny wrote. According to the official results, Sobyanin received 51.37 percent. In addition, Navalny cited Sobyanin's allegedly excessive use of state-run mass media in his campaign as grounds to annul the results, as well as the reported distribution of groceries to pensioners in certain districts in a bid to influence their election choice. The political opposition has complained for years about the advantage Kremlin-backed candidates receive through media coverage on state-run outlets, although electoral laws spell out strict requirements for candidates to receive equal airtime on certain platforms. Navalny also complained of violations involving touch-screen voting machines and voting done by soldiers in districts where they supposedly were not registered to vote. The elections commission examined the first complaint submitted by Navalny on Tuesday. In that complaint, the anti-corruption campaigner alleged that phony take-home ballots were distributed listing him as a convicted felon, Gazeta.ru reported. Navalny was declared guilty of embezzlement charges in July — charges that he denies — but an appeal is currently pending, meaning the conviction has not yet come into force. Andrei Buzin, an elections expert at Golos and a member of the Moscow elections commission without a right to vote, said that complaint "was not so much examined as it was simply mentioned in the commission's decision" not to hold a re-count, Gazeta.ru reported. The federal Central Elections Commission expressed its satisfaction with Moscow's election results on Wednesday, saying it had not received a single complaint about the elections that would warrant consideration, Interfax reported, citing spokesman Nikolai Konkin. According to Konkin, a meeting had been planned for Wednesday to review complaints, but since there were none, it was called off.